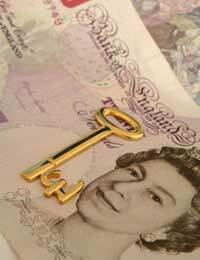 The buy-to-let sector has suffered significantly as a result of the recent recession. But, with the property market remaining sluggish and many 'accidental landlords' having fled, buy-to-let still presents genuine opportunities for serious investors. As is described in more detail elsewhere on this site, the Association of Residential Letting Agents introduced a set of guidelines governing the process of private rental. Previously, individuals wishing to offer property for rent for subject to corporate finance rules. Now, however, it is possible for non-corporate landlords to gain access to mortgages and other substantial loans at regular consumer rates. There are certain preconditions which must be met in order to qualify for a mortgage of this sort. One of the major advantages of the new ARLA scheme (known as Buy to Let) is that projected rental income can be counted as a method of loan repayment. The intention was that this would allow buy-to-let investors to borrow a larger proportion of their income than conventional borrowers. But, as mortgage lending dried up, this ceased to be the case. Today, though, the buy-to-let mortgage market is again expanding, and there is a number of potentially attractive deals available. Buy to Let mortgages are a higher risk proposition for lenders than standard secured loans. This is because, although apparently currently sturdy, the market is prone to fluctuation. As such, there is no guarantee that your property will be consistently occupied. Any significant break in tenancy could have a considerable impact on your ability to make your repayments, and your lender will therefore wish to minimise this risk to as great an extent as possible. One of the methods by which this is achieved is the employment of a reputable letting agent who, under the new guidelines, must be an ARLA member. This demonstrates that you have researched the market properly, and have sought the advice of a local expert. You should also be aware that any potential lender will expect to see a viable financial contingency plan which you would be able to employ in the case of the failure of the project. This would essentially involve you demonstrating your ability to find other means of payment in order for the lending institution to be confident that the risks to their money are as slim as possible. If you can fulfil these criteria, you can expect to be granted mortgage terms as favourable, if not more so, than those afforded to owner-occupiers. Repayment plans are likely to be flexible, and could extend for up to 50 years. As always, however, you should aim to pay off your loan as quickly as possible in order to keep a cap on the total amount you will repay. You should set your rental price accordingly. You may, however, find the loan to value ratio (the size of loan to which you are entitled, expressed as a percentage of the total value of the property against which it is secured) curtailed to around 80%. As a result, you should be prepared to bear incidental costs such as agents' fees through your own existing capital.